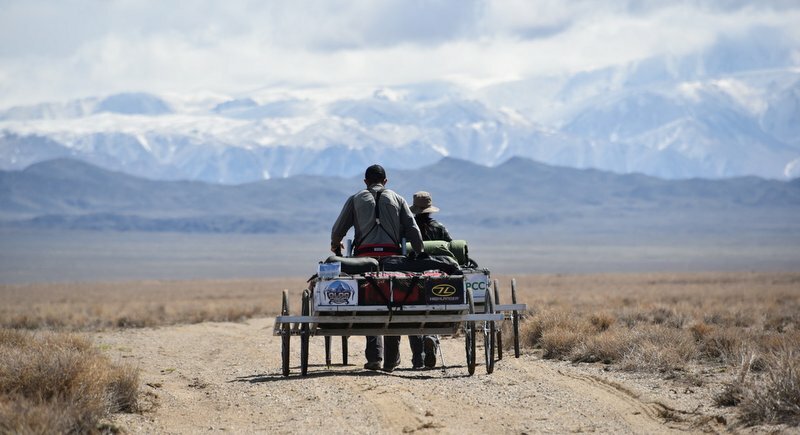 For someone who’s climbed the biggest mountains in the world, parachuted from hot air balloons and travelled from Europe to South America on a row boat, you wouldn’t think Phuket training instructor Luke Richmond would find crossing the Gobi Desert one of the most physically demanding challenges he’s ever attempted. 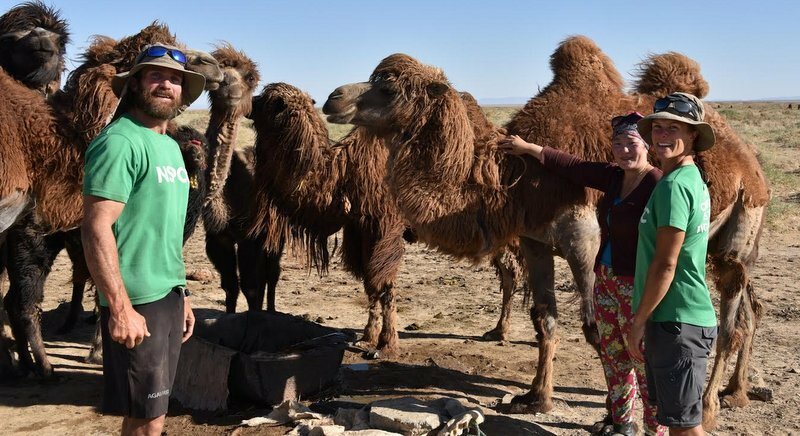 Traversing Mongolia’s Gobi Desert on foot, through driving snow and blinding sandstorms, was a true test of mental and physical endurance for Phuket expat couple Luke Richmond and Elise Hoefsmit and their friend Matthew Bennett. 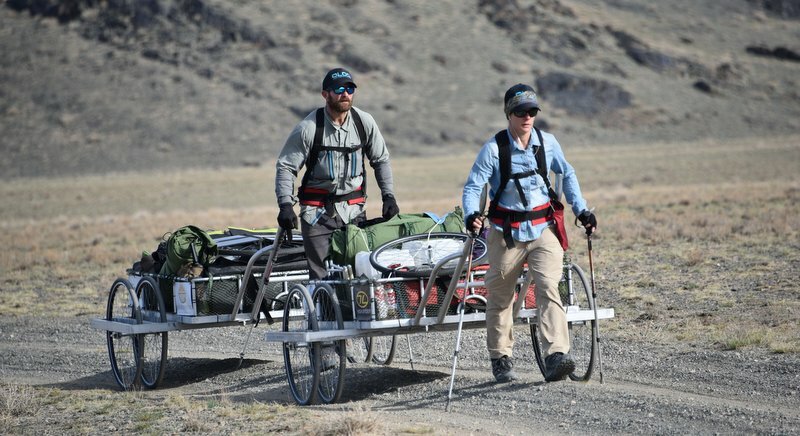 “In reality, nothing could prepare us for the Gobi,” he says. 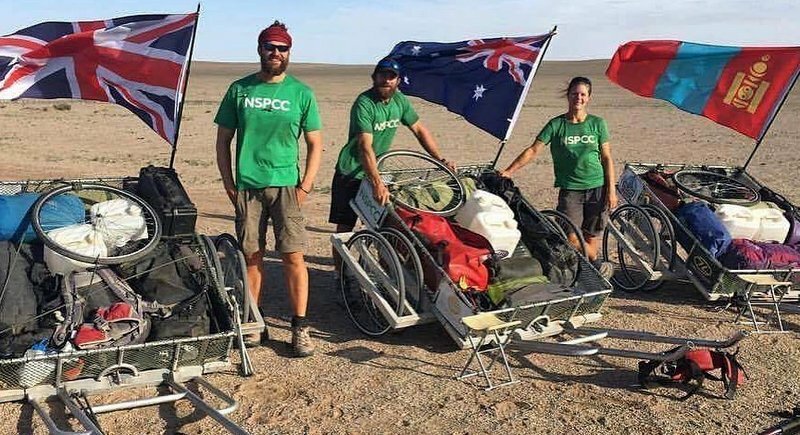 Earlier this year Luke, together with his wife Elise and fellow adventurer Matthew Bennett, set out to tick off yet another item on their collective bucket list. 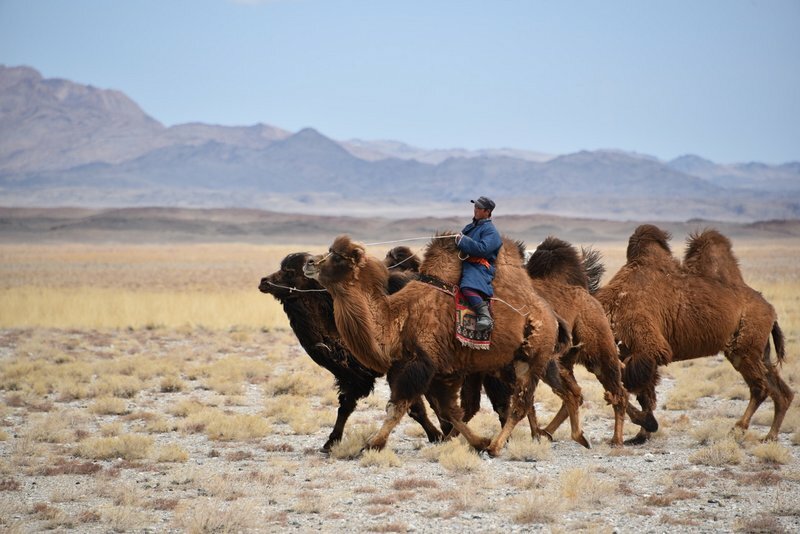 Amazingly, the 1,800-kilometre trek through Mongolia’s unforgiving Gobi Desert was actually a fall-back plan. 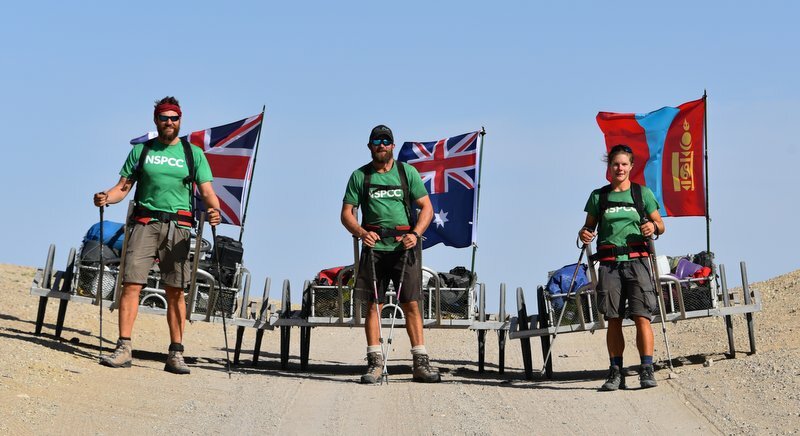 The trio had originally planned to cross Antarctica. 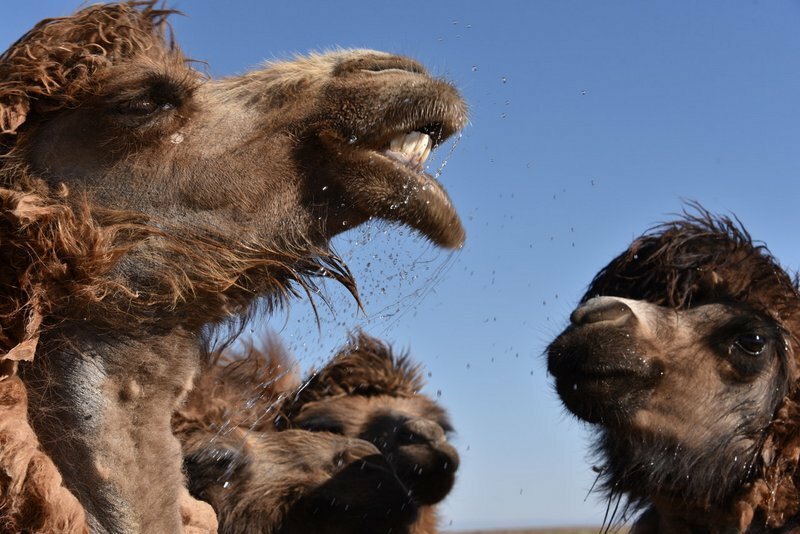 Though as it turned out, Genghis Khan’s old stomping ground more than quenched their thirst for a challenge. A few years ago Luke and Elise were living a normal “cookie cutter” life running a gym in Sydney but it “just didn’t sit right with them”. So two years ago they upped stakes, moved to Phuket and began chasing opportunities for crazy adventures all around the globe. “We sold everything to hit the road and started doing what people have a bucket list for, or what they do in retirement. We said ‘let’s just do it all now and see where we end up in 10 or 20 years’,” says Luke. “That’s why we love living here in Phuket, so we can stay fit and healthy, and at the drop of a hat, if someone asks you to row an ocean, you can row an ocean. That’s what it’s about for us, not saying no to any opportunity that comes up – you just want to be ready,” adds Elise. 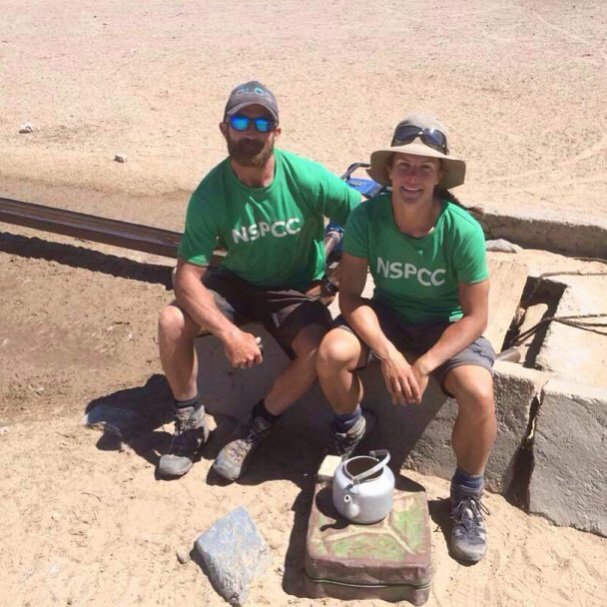 It took 57 days for the team to cross the entire length of the desert, all with the aim of raising money for the National Society for the Prevention of Cruelty to Children (NSPCC), an organisation campaigning to end child abuse in the United Kingdom. They had raised a little over £28,800 (about B1.23 million) at last count. 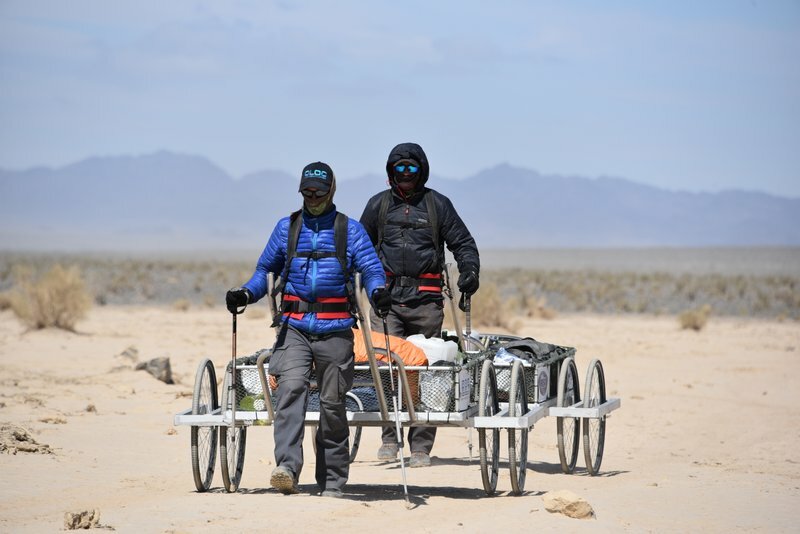 Team Essence, as they’re called, dragged their supplies on custombuilt trailers through the harsh landscape of one of the biggest deserts in the world. 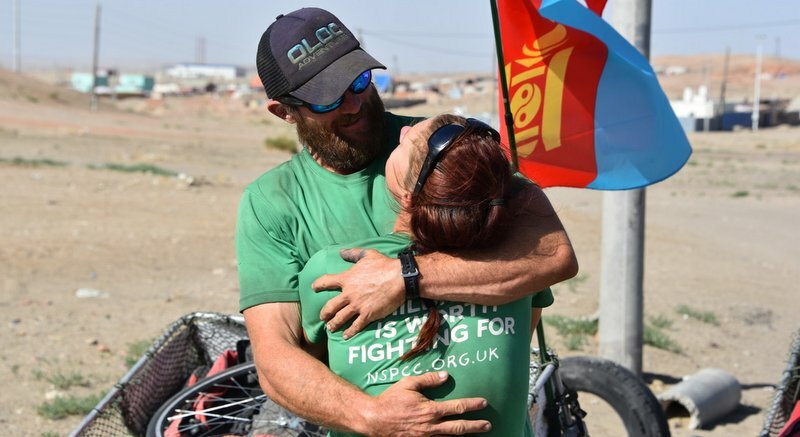 Luke, an instructor at Phuket’s Unit 27 fitness centre and an Australian military veteran has been through tough journeys, treks and adventures before – but he says the Gobi was something else entirely. “The desert was more of a mental battle. By the end of the day we were shattered and after sleeping for 10 hours we would recover just enough to go again for another day. It was a brutal Groundhog Day cycle,” he says. 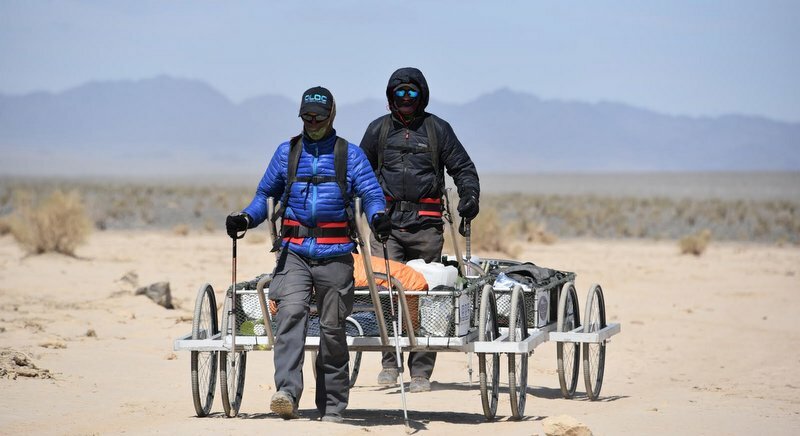 Luke kept everyone updated through blog posts on his Facebook page, it’s a worthwhile read that touches on everything from the curious and friendly locals they came across to daily injuries, the tech failures, showering once in 57 days and the weather… oh, the weather. “The weather was the toughest. The wind blew for 55 of the 57 days and it was unrelenting. If it was a headwind we couldn’t go anywhere. In the beginning we had cold, snow, rain, hail and by the end we had heat and sandstorms. It was crazy,” Luke says. 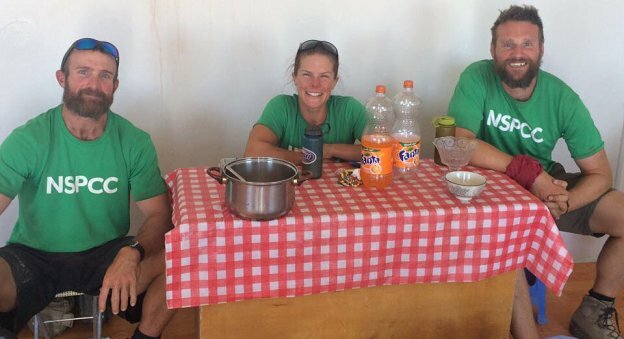 Just last year, Luke took part in Row2Rio, a journey from Portugal to Brazil on a row boat to honour the legacy of the Olympics, which were held in Rio de Janeiro. He lost 15 kilograms during the 55-day crossing, but also managed to set a new world record. 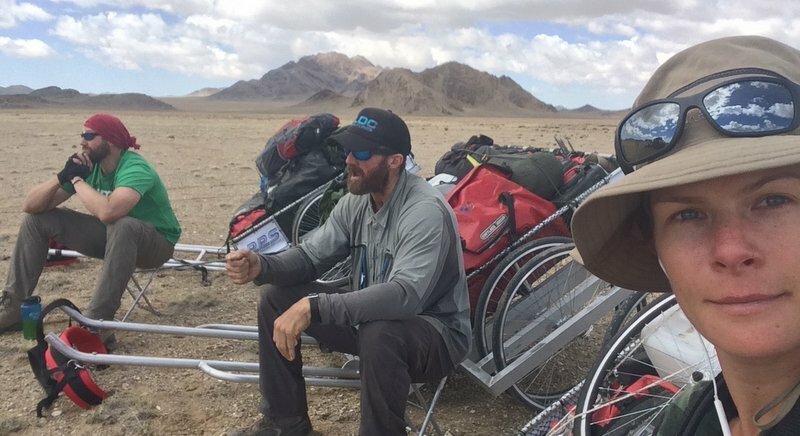 While that was a challenge, the Gobi presented many more obstacles that the team say they just couldn’t foresee. “There were no free metres,” he says, “If you stopped, you would go nowhere. At least on Row2Rio the wind and current gave you some assistance. “The whole trip felt like we were pulling up hill or going down. When we finally had flat surface, it was like a dream and we could crack 40km for the day,” he says. Very few things could prepare you for the scorching heat and the intense endurance needed to finish, said Luke. “When we finally finished. I took off my harness, threw it on the ground and swore I’d never pick it up again,” he says. “The relief was euphoric, we had done it, and even though no one was there to cheer us on, it was an incredible feeling shared between the three of us,” he adds. Luke’s next big adventure will be to kayak the length of the Amazon River. But even his wife Elise, who is certainly no stranger to adventure (they were married in Las Vegas during a skydiving jump from a hot air balloon), has decided to sit this one out. “I’ve uninvited myself to that one,” she says with a laugh.